I have been biking seriously for the past six years and I have done plenty of bike-tours including several across parts of Europe in this time. But, the five days on the Minsk through the Vietnamese homeland has been a most memorable trip. 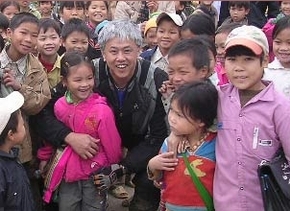 The Vietnamese countryside was simply charming and the people, especially the kids, were indeed adorable. And by the way, you guys did a wonderful job – especially our guide. I will be back!